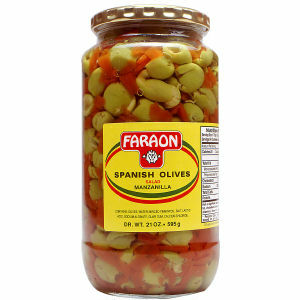 Pitted Spanish Olives with minced pimientos, packed in Spain. Drained weight is 21 ounces. This product is great for cooking, salads, appetizers, or simply all by itself.